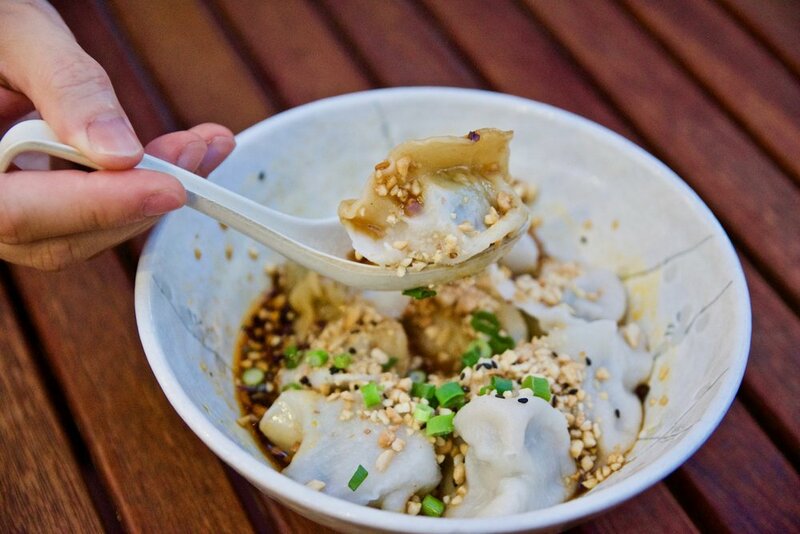 Located on Collingwood’s bustling Smith Street, Bowl Bowl Dumpling Bar is a local favourite. The eatery has recently launched a new menu to set it apart from its sister restaurant, Bowl Bowl. Unlike Bowl Bowl’s fast turn-around concept, Bowl Bowl Dumpling Bar is about food which accompanies your favourite tipples and is designed to cater for grazing but is versatile enough to be a decadent feast. We loved tasting our way through the new menu. Our top picks include the handmade Sichuan dumplings which boast juicy pork mince marinated in ginger stock, red wine, garlic, Sichuan pepper and served with chives, chilli sauce and peanuts. Simply yum! Another winner is the Crispy Yu Xiang eggplant. Unbelievably addictive, this dish is perfect with fluffy steamed rice and is incredibly gratifying.